Find hotel near Bali Jet Set Dive And Mar .. This exclusive adventure sports centre is a great activity to do on your trip to Bali. 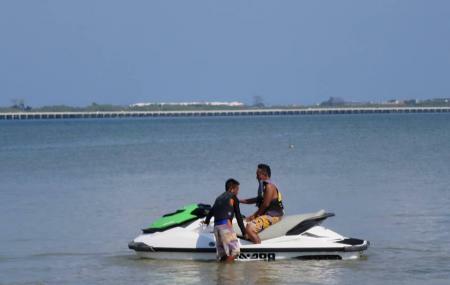 With number of activities like scuba diving, water sports and snorkeling, Bali jet set drive offers water sports to visitors in an eco-friendly environment. If water sports don’t tempt you, can also opt for a comfortable cruise ride or watch the dolphins! Want more? Go fishing! Bali jet set dive and marine sports is added to Bali itinerary 2 days and Bali itinerary 5 days. Go for adventure sports if you have a healthy medical history. Various adventure sports have different entry fees. Ticket prices include transportation by private car (south Bali), insurance, instruction, drinks (water, coffee and tea), equipment, shampoo, soap and towels. The price for the activities starts from 350,00Rp / person. How popular is Bali Jet Set Dive And Marine Sports? People normally club together Waterbom Bali and Coconut Bali Resto while planning their visit to Bali Jet Set Dive And Marine Sports.